You can create custom price labels for all WooCommerce products with empty prices, using Call for Price for WooCommerce Pro plugin. The setting for adding custom price labels for individual products can be enabled using General Options under General settings. 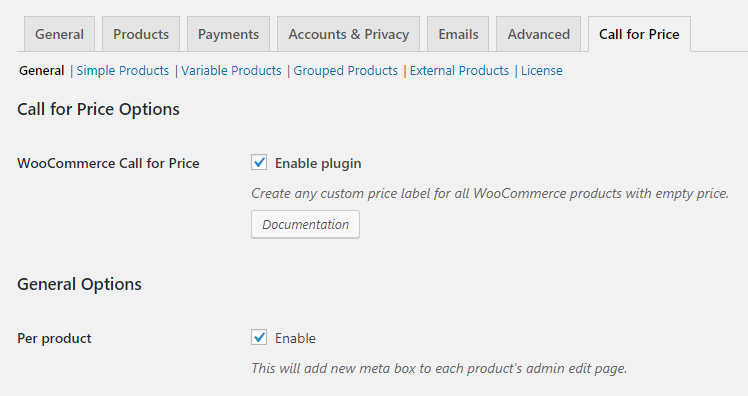 This will add a new Call for Price meta box to Edit page of each product on the Admin side. Default value is set as No for Enable setting. So you need to first enable it by selecting the Yes option from the dropdown. In the Text (all views) field, you will see Call for Price text by default. You can change this text and customise the label as per the requirements. Let us understand this setting with examples. The output of this setting will display Call for Price label on the Single Product page on the front end. You can add any text like Get a Quote instead of Call for Price label in the Text (all views) field. So on the front end, the product page of Diamond Ring will display the label as Get a Quote. 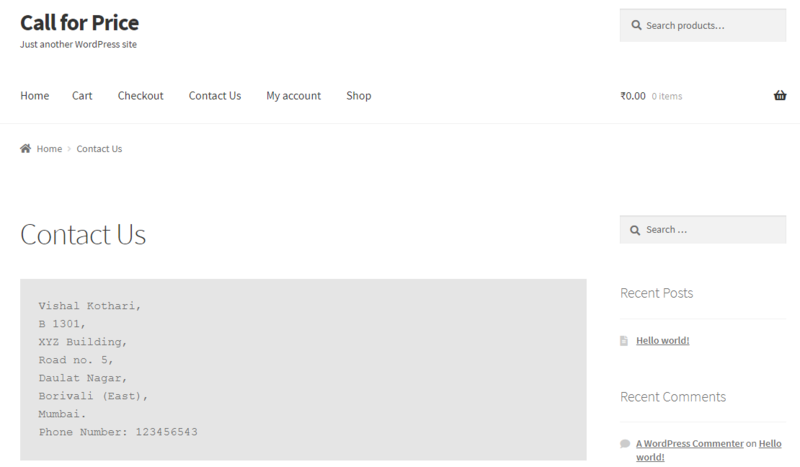 In the above example you saw how to add a price label Call for Price to each product from the Edit page. Likewise, you can also add a link instead of a label guiding them to contact you. Say, we consider the same product Diamond Ring and in the Text (all views) field, add html tag for adding a link of the Contact Us page. 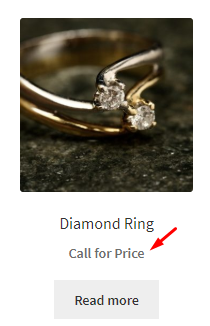 This will display a Contact Us link on the Diamond Ring product page instead of Call for Price label. So when the customer wants to know the price of the product, he can simply click on the link. This will redirect the customer to the Contact Us page where he can acquire the contact details for calling you to get the price. We can do many more things to this Text (all views) field like adding the text, adding the redirecting link to a page, add an email address to that text where customers will directly contact through email, add a link where form will open and many more.